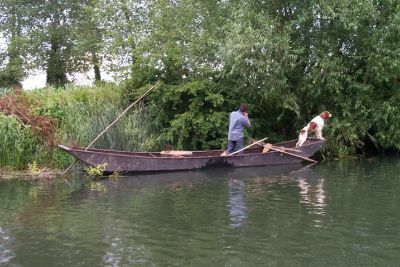 The Severn Salmon Punt in the Salmonboats Collection is the last remaining one of its kind in working condition. 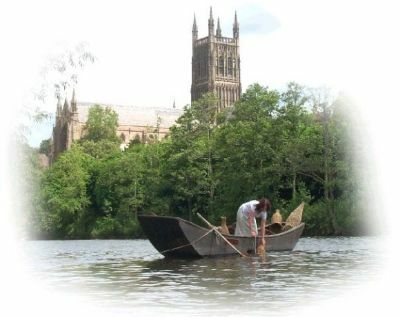 It is a very rare boat and its shape can be traced back to the middleages as this picture shows. We have a sister site making carved signs - for houses, businesses, museums, stables, waymarking etc. Just click on the woodcut to be transferred. See Long Net Boats page for further information. The Stopnet Boat known on the rivers Wye and Severn. Our boat is the last original stopnet boat to be seen on water. For more information please go to the Stopnet page. A display of artisanal fishing craft and methods based on land and water. 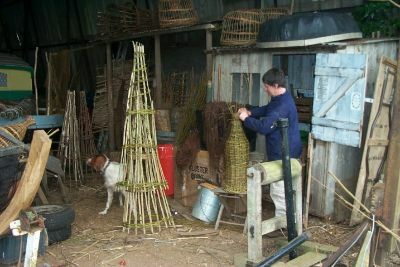 Making of fishing baskets from willow and hazel; hemp, cotton and man-made nets, along with the tools and materials which would have been in every day use in the fishermans hut. Aspects of marine and river conservation are also addressed. Typifying a scene which would have graced many a river and estuary bank for hundreds of years, but with a view to the future. The exhibit is available to attend events throughout the year - please contact us for further information. 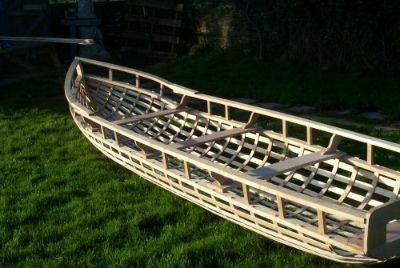 The curragh is a light weight boat made with strips of wood and covered with a canvas or skin type cover. Curraghs have been made for many hundreds of years and it is believed that St. Brendan of Ireland went across the Atlantic in one. They were extensively used as fishing boats in Ireland. This picture shows the framework of the new curragh build. Note the shape of the bow which makes the boat more seaworthy. This curragh is a new build. It is approximately 17ft long and 3ft 6ins wide. After seeing a video - The Man of Aran - we decided to build one. The picture above is an Aran Island curragh at sea. 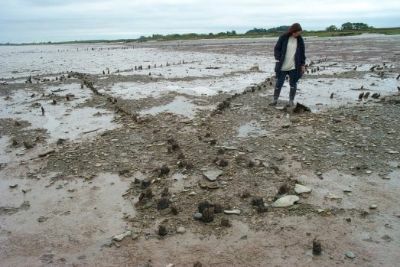 On a visit to the Severn in 2000 with a now retired fisherman, we noticed that some of the mud flats had washed away and a number of posts forming a V shape had appeared. Subsequent visits over the last three years have revealed more of this complex fishing weir as photographed on the right here. We think that this recently exposed weir is of considerable age possibly middle ages or earlier. 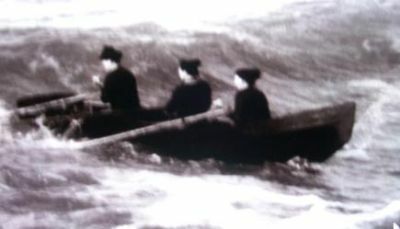 A trio of restored traditional canoes. At the back - A Klepper T6 dating from 1958. Centre - A rare Sports Berger from the 1930s. To the front - A Tyne made in the 1960s. A classic Iain Oughtred design made in clinker ply for lightness. In the foreground is a restored PBK59 cold moulded kayak.